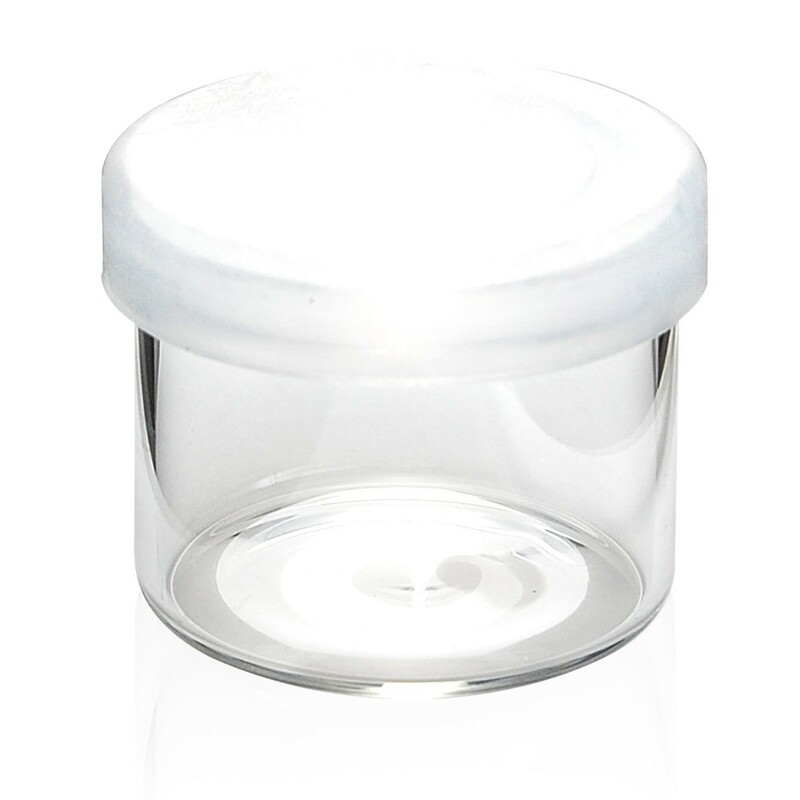 These glass no neck concentrate containers are 6 ml in capacity and are popular because they are constructed of borosilicate glass: the kind of glass that was designed to be directly heated by a torch or lighter. They were designed to be strong and durable yet light and compact for on the go use. They are a great addition for any dispensary or collective, medical or recreational due to their designed ability to display concentrates in their full glory. These glass containers are highly popular among users and producers because they have a well designed leak proof snap cap lid that ensures an airtight seal, making these small glass jars smell proof and leak proof.